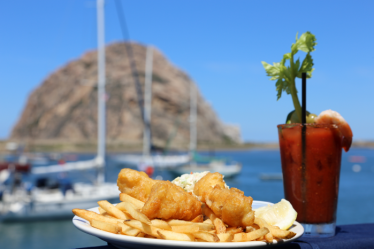 Whether you’re here for a breath of fresh, salty ocean air, to indulge in locally-farmed oysters or experience a bevy of outdoor activities, Morro Bay is sure to fulfill all of your wildest and most delicious dreams. This iconic Central Coast community is rife with Instagram-worthy photo opportunities sure to make your followers long for their next vacation. 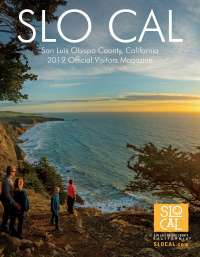 Did we mention Morro Bay is just located off iconic Highway 1 in SLO CAL? You’ll know when you get there when you see Morro Rock - one of nine volcanic plugs called The Morros or “Nine Sisters” - beckoning you in. 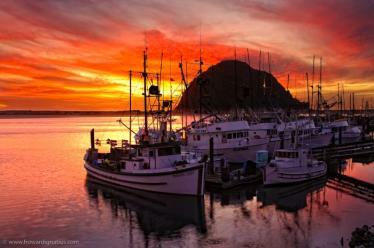 Morro Bay is the perfect home base for your next Central Coast adventure. The variety of lodging options offers visitors the opportunity to park their RV minutes from the sand, stay in beach front vacation rentals, luxurious inns, fantastic hotels and other affordable accommodations. 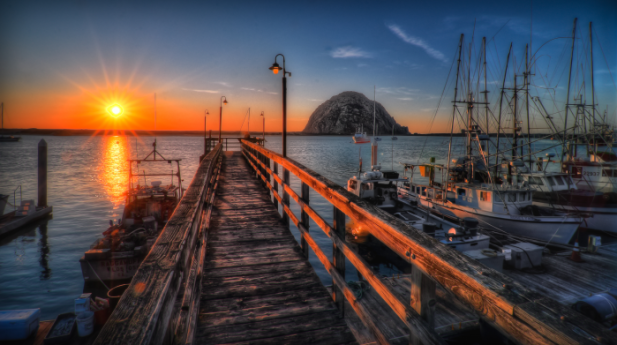 To get your vacation gears cranking, we’ve compiled a list of bucket list worthy Morro Bay experiences. Standup paddleboard (SUP) the bay with The Paddleboard Company. Embark on your own or take a tour and learn about the natural area and wildlife that call Morro Bay home, while striding through the water. Take to the open ocean on one of Virg&apos;s Landing Sport Fishing’s daily fishing trips. Catch salmon, rockfish, lingcod, albacore or whatever happens to be biting that day. Whether you’re in a friendly competition for the largest catch-of-the-day or scoping the waters for passing whales, this expedition will be one to remember. There’s nothing quite like a SLO CAL sunset and we encourage you to enjoy one by cruising the bay. Book a cruise with Sub Sea Tours or rent your own electric boat for a relaxing evening out on the water. 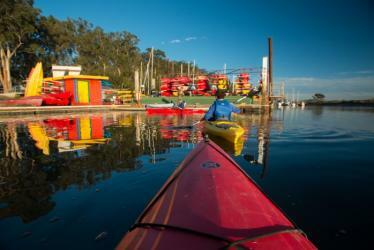 Morro Bay is known for its birding and bounty of wildlife so why not experience it by tandem or single kayak. 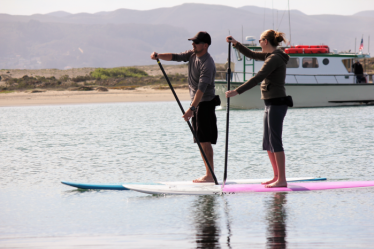 High tide allows visitors to maneuver the channels of the Morro Bay Estuary with ease and Central Coast Outdoors will ensure you see and learn about the wonders of this natural area through guided paddles. Tip: Up the romance by booking a sunset paddle with hors d’oeuvres and beverages served on the dunes! Spend a day exploring the bustling Embarcadero and downtown filled with nearly 160 independent shops like the Shell Shop and Crill’s Salt Water Taffy stand. 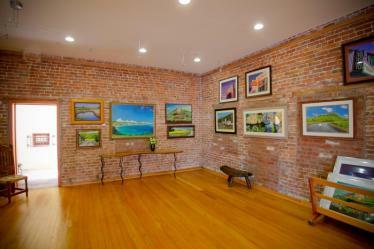 Stop in one of the many art galleries and specialty boutiques for something uniquely Morro Bay to take home. 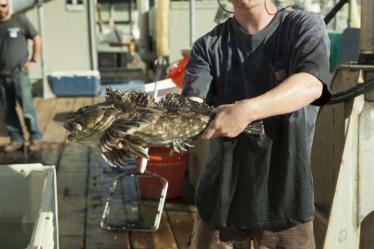 Fresh seafood and locally grown produce are in abundance in Morro Bay. Grab some fresh seafood at local favorites like Tognazinni’s Dockside, Too, Too and Giovanni’s Fish Market. Windows on the Water has views aplenty and a seasonally changing menu to match. After a quick surf sesh, head over to Taco Temple, another local staple, or Flavor Factory for a burger you won’t forget. 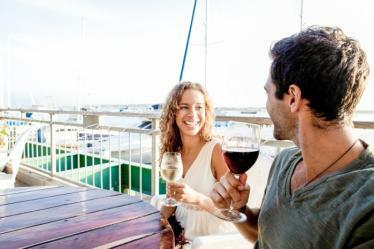 From craft brews to wine tasting rooms, Morro Bay will have you puckering – sour beers anyone? – and savoring each sip. The Libertine Pub specializes in barrel-aged wild ales and offers up to 48 craft beers on tap at all times. If you cruise by on Saturday mornings at 10am you’ll be able to imbibe and practice your warrior pose during BOGA - that’s beer + yoga. Wine lovers rejoice! While Morro Bay has several wine bars dotting the Embarcadero (Morro Bay Wine Seller and STAX Wine Bar & Bistro), it’s also perfectly situated between award-winning Paso Robles and San Luis Obispo wine country with nearly 300 wineries to explore. Let the cool, ocean air hit your lungs as you walk Morro Strand State Beach. Or, kick it up a notch and let a horse do the walking. 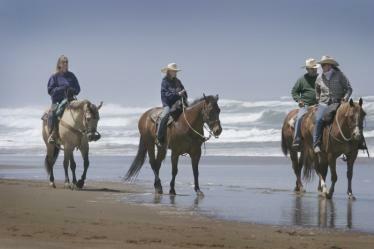 Book a horseback riding adventure for a uniquely SLO CAL day at the beach. 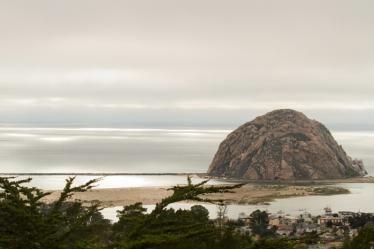 Take in Morro Bay from the top of Black Hill – also one of the nine sisters – in Morro Bay State Park, enjoy a jaunt out on the sand spit in Montaña de Oro or take to the Cloisters Wetlands trails in north Morro Bay. Be sure to add the Morro Bay Mural Mile Walk to your itinerary, a fun way to get to know the city through 23 murals that depict the area’s natural beauty, it’s history and array of sea life. 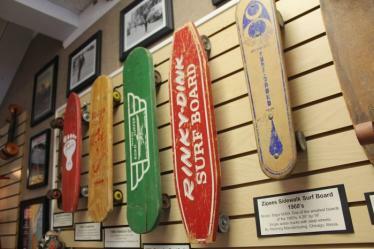 Or, learn the history of skateboarding at The Morro Bay Skateboard Museum where more than 200 skateboards line the walls. 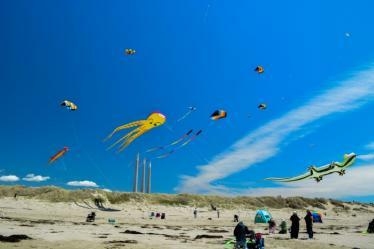 From on-going events like cruises, whale-watching tours, brunch and dinner cruises, and fishing charters departing daily from the Embarcadero to the annual Surfboard Art Festival, Bird Festival, Kite Festival and Art in the Park Fests, there’s something for everyone in Morro Bay. Stay in the know on what to do in Morro Bay by checking this calendar regularly. Put life on coast when you visit Morro Bay. Visit MorroBay.org or call 800-231-0592 for more information.